Do you have a small business that could use a little tuning up? If you have yet to use some marketing programs that get out there and help to spread the message about your company, now is the time to do so! There are a handful of great marketing programs that you can use that will really spread the word and can give you a stronger market presence. Your marketing budget is one of those things that you need to use wisely in order to make it last and to make sure you are getting your name out there in the right manner. If you ever want your business to grow and expand, you have to consider your marketing budget and to make sure that you are effectively using it. Continue reading "Using Your Marketing Budget Wisely"
Small Budget? Not A Problem! You Can Still Market! When you are dealing with marketing of your small business, there are so many different elements to consider. Dealing with a small budget is challenging but it doesn’t mean all hope is lost when it comes to marketing your business. You can easily market with a small budget, you just have to know what type of budget you need to have and how you can market in the right way. Here is the deal with marketing, it’s all about creativity! Just because you have more money doesn’t mean you can earn more from the customers with larger marketing programs. There are a number of smaller marketing programs and things that you can use that will bolster your website and will help you to bring in the sales that you need. Here are some of the ways in which you can market your business with a smaller budget. Continue reading "Small Budget? Not A Problem! You Can Still Market!" As you are working to advance your business, it is important that you look for ways in which you can start growing it based on the budget limitations that you have. Having a small budget is hard to deal with but with creative people on your side and the right type of outlook, your small business will be able to find great success. Continue reading "Growing Your Business On A Budget"
Want to improve your business? One of the easiest ways to do so is by using proper budgeting and forecasting. You need to learn how to control your books to stay in business. Without organization, you won't have an idea as to where your business finances are at and if you are paying your vendors and employees on time and to ensure that you aren't spending more than you are making. Proper forecasting will help you get a good idea as to where your marketing efforts need to be at and if you are budgeting appropriately. Continue reading "How will budgeting and forecasting help to improve your business"
Continue reading "How to reduce costs in your small business"
Continue reading " Spending mistakes small businesses need to avoid"
Small businesses can not overlook the importance of their bookkeeping. This is often the difference between a small business that grows and thrives and one that does not. Bookkeeping is the process of managing your cash, sales, purchases and other financial factors, in your small business. Many small businesses are unable to hire someone right at first to just be a bookkeeper. It can be helpful if you are managing your books to use a software program that is designed for bookkeeping. Continue reading "Small business bookkeeping tips"
How do I get a small business grant? Do you know what you need to do in order to acquire a small business grant? How can a small business grant help your company? There are so many things a small business grant will be able to do to help your small business get started. For one, you don't need to repay a small business grant. Secondly you can acquire the money easily, which is unlike a loan where you can face multiple rejections. Third, the government offers small business grants and by filling out the application your companies name can be submitted to multiple grantors to offer you a small business grant. Continue reading "How do I get a small business grant?" If you have made the decision to start your own business, you will need to make the decision to work hard to make the business attractive to lenders. You want lenders to feel that this is a risk-free investment and that they will be able to acquire great profit from your company. To do this, you have to do your homework and you must be able to show lenders what they want to see in order to have a desire to invest in your company. Continue reading "Requirements to acquire a loan through the SBA"
There are so many different aspects you must consider as you are working on starting a small business or trying to manage one. Business finances are an important component of any business and the breakeven is one financial component you need to pay close attention to. The breakeven analysis allows you to see if you are producing and selling products for a fair cost and that you are getting a good return from them. The breakeven analysis can determine where you need to change prices in order to boost profitability for the business. Continue reading "Creating a breakeven analysis"
Thanks to the large popularity of small business owners encouraging their friends to start their own companies, we have a lot of new small businesses on our hands. The problem is that not everyone is cut own to be a small business owner and they all do not come with the same type of skills when it comes to business finances. Continue reading "A crash course to business finances"
Continue reading "Effective bookkeeping for small businesses"
The financial position of your small business may have taken a large hit over the past few years due to the recession and the current state of the economy. If your customers aren't ordering as many products as you like and you are struggling to attract new customers that can generate more revenue for your business, there are some easy ways to find debt relief for your small business. Continue reading "Finding debt relief for your small business"
The credit repair business has become highly lucrative since our economy and the financing available for companies has tightened and become difficult to obtain. Business credit is available to accommodate the seasonal demands of the ups and downs in your business cash flow. They enable business owners to anticipate future sales needs. But when your credit takes a hit, you'll need to find ways to repair it as quickly and efficiently as possible. Continue reading "Credit repair business"
Continue reading "The importance of business credit"
A strong cash flow can make or break your small business. You need to watch your cash flow carefully and make sure it is not in the red. If you struggle to maintain control over your cash flow, it won't be long until you find yourself out of business. There are several solutions out there that can help you manage your cash flow and prevent you from losing your small business. Continue reading "The cash flow needs of small businesses"
Continue reading "Small business credit cards"
The sale leaseback is a form of business financing in which a company sells its real estate for cash and then simultaneously signs a long term lease with the buyer. This enables businesses to realize 100 percent of their true market value in real estate and then re-use that capital in other areas. Business credit for start up companies is hard to come by. Traditional lenders are still unwilling and even unable to invest in new business initiatives. Because of this purchase order financing has become a common source of capital in our down economy. Continue reading "Purchase order financing"
Starting a small business is impossible without a small business loan. Acquiring the seed money for your small business can be extremely difficult as lenders will review a number of things like your personal credit, business plan, and even your education. Here are some tips on how you can acquire small business loans. Continue reading "Improve your chances of acquiring small business loans"
Bookkeeping is essential to make your business run successfully. Basic bookkeeping consists of your cash transactions, purchases, and your sales. If you cannot hire a professional bookkeeper to help you properly manage your books, you need to find a good software program to use. Continue reading "Bookkeeping tips for small business"
Determining how much money you need to start your own business can be a challenge. In most cases, the amount that someone needs to start a business is different from what is actually spent. While it would be nice to have some way of calculating exactly what amount you will need to start your business, it is nearly impossible to do so. So where can you start? Don't be discouraged, there are a number of different things that you can do to get as close as possible to what your actual start-up costs will be. Continue reading "The money you need to start your small business"
Having the right amount of money at the right time is a key to making sure that you can get your business started. This is even more important when you are starting a small business in a down economy. Getting money is only part of the process but is an essential part of getting a successful small business up and running. Here are some tips on getting start up money for your business. Continue reading "Get small business start-up money in a down economy"
Continue reading "Preparing for small business taxes"
Continue reading "Penny pinching tips"
If you are not wise with your small business finances, your dream can quickly become one of those small businesses that fails within the first year of operating. When a small business starts to have problems with their bottom line, it can quickly fail if you are not careful and don't take action to fix it. Here are some simple tips that will help you fix your bottom line in 2 months or less. Continue reading "Improving your bottom line in 2 months or less"
Depending upon the size of your small business idea, you most likely won't need millions of dollars to get started. Even if you don't need a large amount of funding, it can be difficult to find the money especially when the economy is bad. During a bad economy, lenders will tighten their lending rules and unless you have a high credit rating, a solid business plan, and enough invested into the business, they will not take a risk by lending you the money. Continue reading "Finding money to launch your business in a bad economy"
Continue reading "Deciding to raise or lower your prices"
Every business is concerned with saving money right now, especially small businesses that have a smaller amount of working capital at their disposal. You can try to increase revenue, but this can often be extremely challenging when you are dealing with a struggling economy and customers that just don't want to buy. For small businesses, the phrase "stretching the dollar" really applies to their business. This article will explore some of the different ways you can work on cutting costs. Continue reading "Cutting costs for small businesses"
The cost of the physical location for your small business's daily operations can be one of the most significant costs that you are faced with paying as the business owner. If working out of your home is not a viable option for you and buying your own business location is out of the question, renting is a good solution. Here are some helpful tips on choosing the right rental option for your budget and needs. Continue reading "Tips for renting your small business location"
Money is absolutely essential for your business to stay afloat. Many businesses are having a hard time getting the necessary funding with the economic crisis in full swing and while banks are gun shy and don't want to lend as much money to businesses in need. If you are a small business in need of money, then one of the methods you can consider is microlending. Here is a look at the different options you have with small business microlending. Continue reading "The benefits of small business microlending"
Working from your home definitely has its advantages. You benefit from being your own boss and from being able to spend more time at home because there is never a commute to the office. Of course working out of your home is not without its drawbacks, but there are plenty of advantages that make running your small business from home a good choice. One such benefit comes at tax time. There are income tax deductions for home-based small business owners that can decrease how much you owe the government. Continue reading "Income tax deductions for home-based small business owners"
A down economy can be fatal to a small business. Many times a small business is operating on a slim budget to begin with, and additional losses may be too much for the company to handle. Nevertheless, small businesses do not need to resign themselves to bankruptcy. There are several actions that can be taken to help a small business survive a down economy. Continue reading "How to survive a down economy"
Starting a small business takes a lot of time and preparation. This article discusses much of the preparation that a person needs to do in order to start a successful small business. Businesses of all shapes and sizes all over the world are struggling right now but that doesn't mean that your business has to be one of them. If your small business is struggling right now there are still things that you can do to pull out of the recession or any problems that you are having. Here are some steps that you can follow to make sure you are able to help your struggling business. Continue reading "How to help your struggling small business"
Growing a small business requires hard work and managing growth plans in multiple areas of the business. One method to consider for growing a small business is through investing. Investing can add a significant boost to a small business and allow it to grow with demand. Here are a few tips for helping a small business grow through investing. Continue reading "Helping your small business grow through investing"
Getting a small business loan takes a lot of time and preparation. This article discusses some of the essential information that a future small business owner needs to know in order for them to get a small business loan. Continue reading "Getting a small business loan"
Insurance is one of those things that you will likely just never be able to escape. This is true for individuals and businesses alike and can certainly be frustrating and challenging to find the best insurance rates. The concern for businesses seems to be even more pronounced for small businesses and here are some tips to getting better rates on insurance. Continue reading "Finding the best small business insurance rates"
The money that a future business owner needs to begin their small business or to keep it running can be available to them in several forms. The important thing is that the business owner-or future business owner-knows how to get that money. This article discusses how a business owner can get funding for their small business. Continue reading "How to get funding for your small business"
Starting up a small business can actually take quite a bit of money. And for a small business to continue to run and be successful it will also need money. This article discuses several of the options a small business owner has for funding their small business. Continue reading "Funding options for your small business"
Continue reading "Saving money on marketing"
Continue reading "Reducing small business overhead"
When it comes to running your small business, how you manage your finances is very important. Well-managed finances means better control over your money as well as less hassle when it comes to taxes. Continue reading "Money matters: how to manage your business finances and taxes"
Running a small business can be very challenging and many people get more than they bargained for when they start to achieve some success. The finances of a small business are difficult to manage and it takes consistent and intelligent management to make sure you are really getting the best from the money you do have. Here are some ways you can cut costs while you are running a small business. Continue reading "Cutting costs when operating a small business"
Many new business owners or business people in the beginning stages of starting their own business do not realize just how many expenses there are when you are your own boss. According to a recent release from a market intelligence firm, the top expense of a small business is the cost of health insurance. Behind that cost are the costs of an internet connection, cell phones, energy costs, advertising, accounting services, voicemail, financial planning services and collection services. Most of these costs are not the first ones that a new small business owner factors into the budget. Continue reading "Budgeting and expenses for small business"
If you run an online business or ship items to your customers one of the costs of doing business is your shipping costs. For every order that is placed, you are going to have to pay shipping costs to ship the product to your valuable customers. One of the ways that you can reduce your costs for your business is to lower your shipping costs. Not to mention that lowering your shipping costs can help you to lower your product price so that more people buy your product. 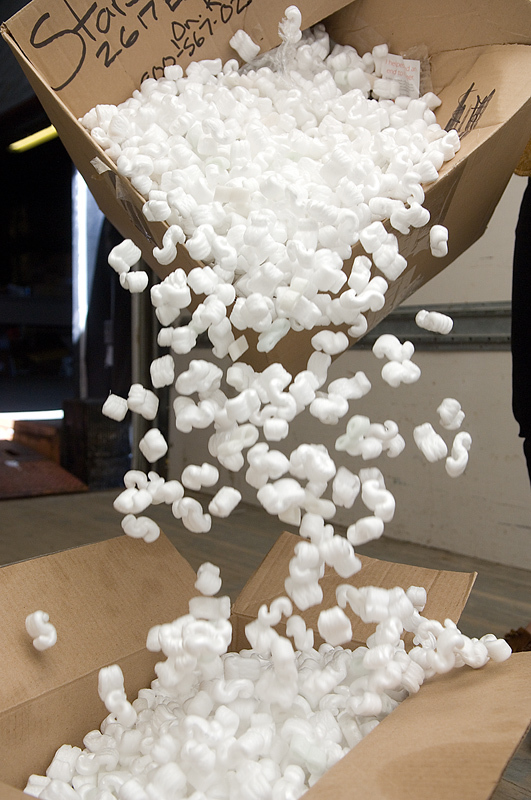 Here are some things that you can do to lower your shipping costs. Continue reading "Ways to lower your shipping costs"
Every small business owner wants to do what he or she can to reduce his or her overhead expenses. The main reason that business owners want to reduce their overhead expenses is that by reducing their expenses they can increase their profits. This is great for small business owners because it means that their business is going to be earning more that year. Here are the steps that you can take to reduce your overhead costs. Continue reading "Reducing your overhead expenses"
Every business owner is set on increasing their profits because the increased profits are a sign of a successful business, but it also means more money for the owner of the business. Most business owners think that the easiest and fastest way to increase their profits is to increase their sales; this is not always the case. Sure, you can increase your profits by increasing your sales, but you will have to work twice as hard to get your sales up and spend extra money to make it happen. Therefore, that leaves you with the option of decreasing your expenses to increase your profits. Continue reading "Decreasing your expenses to increase your profits"
Continue reading "Easy ways to cut costs"
Continue reading "Cutting costs without firing employees"
Cutting back without sacrificing the "must haves"
Continue reading "Cutting back without sacrificing the "must haves""
The pricing strategy of your small business will ultimately determine your fate. Small business owners will ensure profitability and longevity by paying close attention to their pricing strategy. To often small business owners feel that the lowest price wins. In business plan after business plan the pricing strategy has been to be the lowest price provider in the market. This approach comes from taking a quick view of competitors and assuming you can win business by having the lowest price, the reality is this is often not the case. Continue reading "Pricing strategies for small business"
Running your small business can be challenging enough, not to mention the burden of doing your small business taxes. Fortunately there are ways to make your small business taxes easier to do and easier to manage. The IRS provides information on their website for small and growing businesses and how to pay your business taxes. The IRS also has some valuable tips on getting small businesses off the ground with checklist for your business tax account. Tax deductions can be tricky and if done properly they will keep more money in your business tax account to pay quarterly taxes for the next year. The last thing you want is to misuse your business tax account and have problems with the IRS. Take time to find the best business team you can by hiring a good bookkeeper or accountant and making a thorough decision about paying your business taxes. Continue reading "Taxes for a small business"
Depending on what type of small business you have will depend on what type of revenue you have coming in. No matter what type of revenue you have coming in you will want to make sure that you have some type of spending process so that you know how much is coming in and what exactly is going out. You will want to make sure that you have some type of budget so that you don't over spend and end up spending more money then your small business is making. One way to do this is to tailor a budget for your small business. Here are some tips on tailoring a budget for your small business that might help you. The first tip is to have a spreadsheet. One the spreadsheet you will want to make sure that you list certain bills that you have to pay each month such as rent, utilities, and other expenses that you pay each month you run your company. You will also want to make sure that you put in your income that you make each month. Then at the bottom have a running total so that you can see if you are under spending or over spending each month. This will also help you to get a better idea of when your busy times are in your business and when they are slow. Then you will be able to know when you need to cut back on your spending. Continue reading "Tailoring a budget for your small business"